Four years after he took leadership of the Arellano Felix Organization, Fernando Sanchez Arellano, alias El Ingeniero (the engineer), is officially being pursued for crimes against health and involvement in organized crime by the General Prosecutor for the Republic (PGR). A federal warrant has been issued for his arrest, although for the moment he has only been formally charged with kidnapping. The United States has long ago recognized him as the leader of the cartel. He is 34 years old and is known to work out religiously and have particularly large biceps. This bulky muscle-bound frame is in contrast with his height; he is barely over 5 feet tall. He has brown eyes, and a parted beard. He keeps a neat appearance and those who know him say he wears a permanent scowl on his face. That is the portrait a detained member of the the CAF paints of Fernando Sanchez Arellano, the nephew of the two men who ran the organization he currently leads in the 80's and 90's in Baja California. The definition is reminiscent of Benjamin Arellano the day he was captured on March 9th 2002 in Puebla. According to a former member of the cartel, Sanchez Arellano is different from other criminals. He doesn't like tattoos and doesn't look the part of the stereotypical Mexican narcotrafficker. He projects an aura of confidence and is accustomed to dressing in the latest North American and French designer brand clothes. He prefers a style of dress better fitted for a younger man. Looking at him, no one would think his existence signifies death, even though he travels with a large contingent of bodyguards according to the information made available by various source in the intelligence community. He keeps his brown hair cut short to better suit his balding pattern, which he hides under baseball caps adorned with the latest sports emblems. The hat also serves the purpose of hiding his identity. His clear complexion and impeccable skin tone is a sign of an adolescence spent in the city, though the pug-nose is a family characteristic, his is much thinner and well defined. He is a dangerous man but doesn't look the part, despite having propelled himself to the front office of the violent criminal organization headed by his uncles; the Arellano Feliz brothers. Those close to him say he closely resembles Benjamin and Alicia. Members of the police intelligence community on both sides of the border have photos of the capo that were taken in 2008 and 2009, but reasons that remain unclear, they weren't been released to the public at that time. His direct involvement in the illegal activities of the CAF have been documented for the last six years and yet, the first warrant issued for his arrest was issued on October 14th 2009 but the authorities chose not to make the announcement and kept the pictures a secret. The warrant number is 19278 and the case number is 294, issued in 2009 in the judicial district of Tijuana. The charges are crimes against health and running a criminal enterprise. Additionally, during 201o, the Prosecutor for the State of Baja California accumulated evidence for other charges that will also result in a second round of arrest warrants. El Ingeniero is suspected of masterminding a serious of abductions perpetrated of January 4th, February 2nd and 4th, and September 2nd in Tijuana. However, despite this flurry of action there hasn't been any information made public about those particualr incidents. As well, there were no photographs identifying him as a leader of the cartel or even wanted posters in the streets or on billboards in California,Baja California, and the rest of the Mexican republic. Neither Mexico, nor the United States have offered compensation for information leading to the arrest of El Ingeniero. It is also unknown if the Mexican government has alerted governments of other Latin-American countries to look for him in their own countries. Panama and Guatemala serves as a points of export; Peru, Ecuador and Columbia serve as the producers of the cocaine. The final set of charges are still being kept secret. The name El Ingeniero appears in dozens of declarations as the head of a number of kidnapping and drug dealing cells who are at the service of the Arellano Felix Cartel in California and Baja California. These reports have been filed since 2006 without an official announcement from the authorities that they were seeking his capture. “El Ingeniero told me to kill them...the order was that they had to die before 7:00 p.m. These are statements by protected witnesses who testified that Fernando Sanchez Arellano had given them orders to traffic drugs, kidnap, murder, and corrupt police officers. These incidents can be found in the files of penal case number 37/2010-VII. It also lists the names of 122 police officers who are accused of working with the cartel. In all, “the Engineer” was implicated as the mastermind behind the crimes committed by people who swore they were his accomplices, but despite the testimony, no arrest warrant with the name of Fernando Sanchez Arellano appears in this file. los oficios C1/C4/ZP/11820/08 y C1/C4/ZP/11822/08 del Centro Nacional de Planeación, Análisis e Información para el Combate a la Delincuencia; la averiguación previa número 54/04/201, del 15 de marzo del 2004, por el delito de homicidio. Y la causa penal 92/2009-II instruida en contra de Jorge García Simental o Teodoro García Simental alias “El Teo” o “Álamo Siete” o “Tres Letras” o “Tomatero” o “Rubén” o “Rojo”. Y de la Procuraduría General de la República: AP/PGR/BC/TIJ/2022/06-MVIII, PGR/SIEDO/UEIDCS/143/2007, PGR/SIEDO/UEIDCS/217/2008, PGR/SIEDO/UEIDCS/521/2009, PGR/SIEDO/UEIDCS/342/2009 y PGR/SIEDO/UEIDCS/135/2010. He also revealed who ordered the killings in “Mi Chante” in September of 2006, the murders of Alberto Navarrete and Ubina Lopez, members of the State Preventative Police dept, the incursion by armed men on the General Hospital of Tijuana on April 18th of 2007 and the deaths that resulted from that attack, as well as the assassination of agent Eduardo Reyes who as found dead in illegal drug retail outlet known as la Unidad Mixta de Atención on May 3rd 2006. He also confirmed that El Guero Cameron used to be in that position until he was arrested in 2008. There are four common-law apprehension orders in Baja California for Fernando Sanchez, none of them for homicide, all for kidnapping. 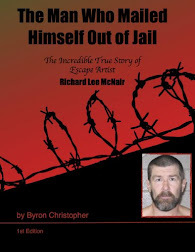 He is mentioned as the head of these cells and the mastermind behind the abductions. One of these abductions mentioned happened of January 4th 2010 to a man with the last name Guadalupe; this case is still under investigation. Another similar case concerns the abduction of a Mr. Rosales who was deprived of his liberty on February 14th of this year. Both of these operations were carried out by the same group of men who belong to a criminal cell headed by Juan Sillas, alias El Ruedas. Jorge Ernesto Peñuelas Parra (jefe del grupo), César Guadalupe Peñuelas Cázarez, Julio César Peñuelas Juárez, Armando Molina Juárez y Andrés Pacheco Contreras, were all apprehended on Febuary 2nd of 2010. They gave authorities information that lead to the arrest of other cell members Alejandro Espinoza Rodríguez y Édgar Antonio García Urquidi, who were arrested on September 2nd of 2010. The reports from the office of the State Prosecutor shows that the authorities had been of the trail of the criminal group since July of 2009. According to the declarations, the cell had been operating in the area since 2007. Without hesitating, the seven detained men confessed to over 30 kidnappings but at the moment they have only been credited with 6. This is the same group that kidnapped Diana Lopez, sister of El Muletas, and killed her boyfriend Tomas Alberto Rosales Cruz. However, there have been no prosecutions or arrest warrants issued for that particular homicide, not against Sanchez, not even against Sillas as the masterminds behind the crime. Also not investigated was the murder of police officer Jose Luis Torrujos, who died during a confrontation on the 17th of October at the bridge of Fereico Benitez. Ernesto Peñuelas Parra, along with Armando Valencia, Cristóbal Parra Tostado and Jaime Ramsés Quezada Pérez were the suspects apprehended near the scene. they were questioned but later released. The file did not indicate the fact that these were the same men had been arrested a day earlier in a zone known as “El Vergel.” When the municipal police tried to ticket them for obstructing traffic, the men tried to bribe the officers. Instead of accepting the bribe, the officers arrested the men and took them before the local magistrate. At this time the group of men began threatening the lives of the officers and the magistrate, claiming that blood of dead cops would be on their hands. The custody of the men was turned over to the office of the Public Ministry who evidently released them. Fernando Sanchez Arellano was presented to the cells of the CAF by his uncle Francisco Javier Arellano. The statements made by Efraín Pérez and Jorge Aureliano Félix after they had been detained by authorities indicated Fernando Sanchez has been active in the cartel since June of 2004 . 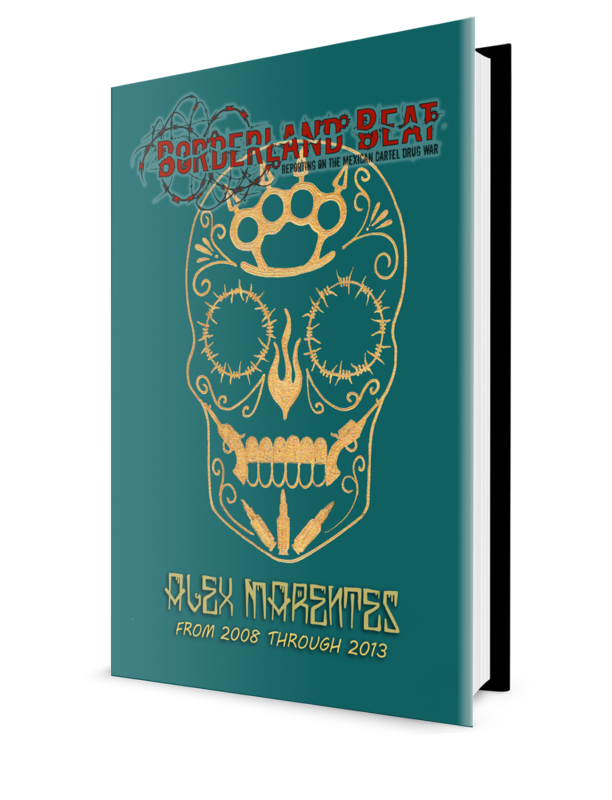 The version of the story as told by these informants indicate that between 2004 and 2006 Javier Arellano Felix, a.k.a. El Tigrillo, with the support of Fernando Sanchez, controlled sicarios and traffickers while operating under the supervision and financial backing of Enedina and Eduardo Arellano (arrested October 2008) with help from Manuel Aguirre Galindo, El Caballo (horse). In August of 2006 when Javier Arellaon was arrested, El Ingeniero took his place at the head of the organization and informed his subordinates that he would be the one in charge from now on. April of 2008. one of the operative cells of the CAF rebels against the authority of Sanchez, it is the one led by Teodor Garcia Simental. To further split apart from the rest of the organization Los Teos initiated a series of abductions that were “not authorized,” including people who were under the protection of Armando El Gordo Villarreal. They even disrespected their direct bosses by lying about their involvement in the kidnappings when questioned about the incidents. Having been discovered, Los Teos refused to surrender and the first gun battle between the two groups erupted on April 26th. A bloody campaign began that day and it would last for the next to years with brief intervals of peace. On the side of El Teo, the justification for the confrontation was the lack of authority of the part of El Ingeniero for failing to stop, or be complacent to, the invasion of their territories by rival cells who also robbed Los Teo's for drugs. There was a feeling among Los Teo's that the intent was to displace them. 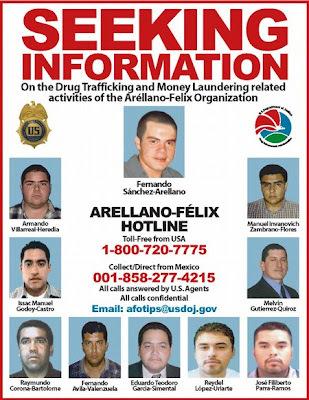 January 8th of 2009 – After hundreds of homicides in Tijuana, the DEA recognized a cartel it considered the new CAF. Their leadership were considered as the most wanted men in the area, but offered no financial compensation in exchange for information leading to their capture. On the hierarchy pyramid of DEA photographs, Fernando Sanchez is at the top, he is surrounded by portraits of other well known figures in the Tijuana cartel: Melvin Gutiérrez Quiroz, Fernando Ávila Valenzuela, Raymundo Corona Bartolomé, Armando Villarreal Heredia, Isaac Manuel Godoy Castro (arrested on the April 21rst of 2009), Manuel Ivanovich Zambrano-Flores, alias El Jimmy (captured on August 7th of 2009), José Filiberto Parra Ramos,alias La Perra (apprehended June 10th of 2009), Eduardo Teodoro García Simental, alias El Teo (apprehended January 12th 2010), and Raydel López Uriarte, alias El Muletas (arrested February 8th of 2010). October 14th 2009 – the first apprehension order against Fernando Sanchez Arellano is issued. The infighting of the CAF continued in 2009. That year the cells of El Teo decided to justify the wave of violence publicly. They did this by attaching messages on dozens of bodies left scattered. The first four were decapitated on the 15th of December. On those cadavers the image of a rat was found with the name El Ingeniero written across the front of it. Although the situation was “personal” it concluded with the capture of Raydel López and Teodoro García in January and February. The killings continued because of confrontations between the cells of Juan Sillas Rocha and those of Los Teos. Rocha was given the task of retaking the former CAF territories held by Los Teos and their respective cells. 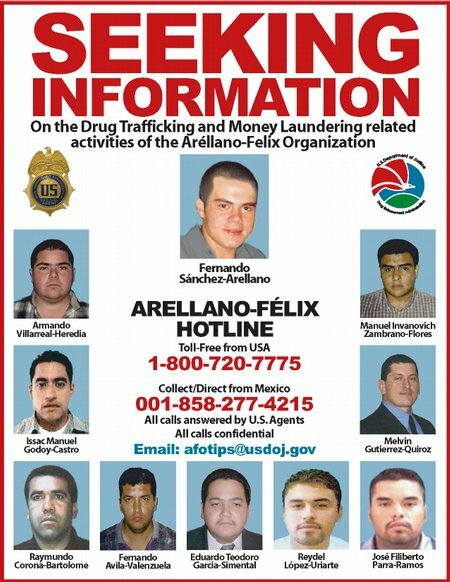 July 23rd 2010 – the Federal Bureau of Investigations changes their name for the Tijuana cartel from the Arellano Felix Organization (AFO) to the Fernando Sanchez Organization (FSO). They announced the arrest of four people in Mexico and 42 in the U.S. during “Operation Green Light” which was spearheaded by the FBI offices in the state of California, all of whom have alleged ties to the nephew of the Arellano's. Among those detained was Jesús Quiñones Márquez, director of international connections, and Rubén Darío Castro López, personal secretary to El Ingeniero. Among the fugitives of the U.S. Government, arrest warrants were issued for Armando Villarreal Heredia El Gordo and Iván Candelario Magaña Heredia El Soldado. However, there were no charges brought againt El Ingeniero at that time. Yeah, I read this in the Zeta a week or so ago, thanks for the translation, makes it a lot clearer to me. Who knows where Inge is, I've read out of the country, and I've read he was seen in Tijuana recently. I wonder what those surveillance pictures are like, I guess the only picture anyone has is his high school year book picture, which was supposedly found when they arrested El Doctor. Anyway, in Tijuana they hanged two headless people from a bridge, by their legs. Sinaloa vs. CAF? Or just business as usual? There have been 11 executions in Tijuana in the last day, apparently between cells that support Inge, and the last of the El Teo fall out's El Guicho. Hope this one is quick. You want SILVER OR LEAD?? I posted this link a few wks back but it is so worthy, if you are interested in Tj cartel history. Well researched and excellent overview from the genesis to the present. and tidbits such as prop 19 (pr drops 375 to 38 per oz)and the seemingly seamless SD Logan Heights connection. If you saw this in a movie one could not believe it could be reality, not one line that has not been crossed, such as the beheading of a rivals wife, kidnapping of children, even the inadvertant killing of the Catholic Cardinal. The fact they haven't released those new pics of him is very odd. I'm not accusing anyone of corruption, I'm sure they have their reasons. But it just don't pass the smell test. I was also surprised to see the picture of Fernando looking like he's on his way to the prom. I doubt that pic would be useful in identifying him anymore. Los Teos' days are numbered. The real question is who is going to own the plaza next year? CAF or CDS? Do you know people in TJ-Rosartio-Ensenada? Personally I do not think the timing that is conjunction with the Innovadora (TJ) was a coincidence. 11 Murders since Sunday night...4 decapitations..all while Mx & global dignataries were in town. As for Sinaloa..I am convinced it will happen due to the instability, the timing is right. Why I asked if you have friends in TJ...my friends and relatives of friends say for the past 3 weeks a great influx of vehicles with Sinaloa plates have been mulling and parked around the plaza...what do you hear? first hand? I don't understand how they have surveillance pictures of him on US side, but didn't arrest him? Because he's not wanted for crimes over here? That RICO operation earlier this year in my city tied him with a whole list of crimes. I think the CDS rumors may just be rumors, CAF held the city for twenty years, I don't think it will change, but the again look at Juarez. I haven't heard about that from anyone I know, but I've read it on a another blog, called 'maggies madness', about the Sinaloa plates. I thought that SD Reader article was good, but a pretty basic and surface level picture of CAF, with a lot of very common sources, a lot of that information is like the first google search links. But, it's good basic information for someone who isn't that well informed. I'd say it's probably a coincidence, nothing to undermine the ceremony, just Mafia politics boiling over. I guess it's another Teo/Inge confrontation, should be done quickly, Teo's fall outs have barely any resources. I believe the Sinaloa could happen, but I don't think it will, Chapo's has wanted Tijuana for 15 years or more, and never really tried. Must be a reason for that, strategic or otherwise. The Sinaloa plates? Probably nothing. I've noticed people that aren't borderline obsessive (us) or organized crime themselves tend to have a fairly muddled idea of whats going on. I know people that live in Tijuana, regular good people that couldn't tell you El Teo from Engineer if they were in front of them. So, I guess someone sees a few Sinaloa plates and thinks Chapo's come to town. But, if they noticed, I'm sure the owners of the plaza are aware too. reporting 6 persons killed in TJ in the pass few hrs. Some going on however...guess we shall wait and see. the san diego article is excellent I thought, sure we know it alls can say well "duh" but for an accurate overview one stop lesson is hits the mark. The prop 19 stuff and remarks about the simplistic proposed to solution with respect to corrupt cops,,,many folks say just pay them more...but as you see been there done that hiking the pay to 1100 (?) but the cartels came back and doubled that..overall I have sent this article to a email bank of 300 folks over the past month and it was recived very well and lots of thank you replies. I do recommend george grayson's book MEXICO Narco-Violence and a failed state? Until you grasp that there are politicians and corporations in the US that support the black market in drugs, guns, exchanged for laundered money, all carried or processed through illegal workers used as slave by the millions -- you can't get that the corruption in the US is no different than mexico. Very powerful people are making money servicing the US side of the black market system. The only difference is that it's not as violent yet. As the black market spreads like a cancer tearing down legitimate businesses that follow work place laws about workers, civil rights, and product safety -- then business competition becomes more desperate and more violent -- willing to short cut regulations just like the black market just to survive. To stop the violence in mexico -- close the border for at least 2 days every time time cartel violence happens. It will be cheaper and less bloody for everyone in the long run. Take a lesson from the ants - stings and bytes are effective against much larger animals. Disrupt the black market every time there's violence. I guess the body count is up to 16, another head found, with a message, 'This happened to me because I followed The Aquiles (Achilles)', who is a Teo operative/cell leader. Everyone is hyping up the Sinaloa/Chapo showdown, but Chapo never offically backed Teo, he got crysal/weed from El Mayo, and some support, but he's not and Teo's crew were never CDS. I'm working on covering the spike Tijuana violence in the past 72 hours..the only reason I haven't put anything out is because every time i get something written, a new article pops up with different version of events and a different body count. I hope to have something out today. Nice find 8:14! Just added the clip to the article. Couple of things, These pictures look very private, I think someone stole the camera or data from him... And notice the woman who keeps showing up with the short brown hair, must be his wife or a regular girlfriend. Interesting clip! I do not think this is El Inge. resemblance..yes..but the features are not the same, AND he is supposed to be muscular but short, 5'height. so if you take that in account the girl must be 4'or under. Marines deliver another blow to the Gulf cartel.